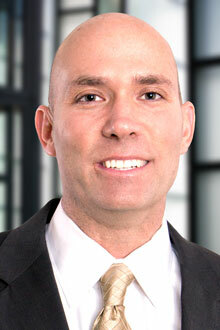 Edward ("Ed") Davis is a partner in the Dallas office of Lewis Brisbois and a member of the General Liability Practice. Ed has participated in many trials and arbitrations, serving in a first-chair and second-chair capacity with notable success, and has managed numerous cases in Texas and other states. Over the past several years, Ed’s practice has evolved to primarily defending trucking companies and commercial vehicle operators. Trucking accident cases go well beyond the scope of the everyday personal injury claim and proper defense of a trucking accident requires a trucking lawyer. Ed is very knowledgeable about the U.S. Department of Transportation Federal Motor Carrier Safety Administration’s rules and regulations that every trucking company should be aware of and how compliance or lack of compliance with these regulations can impact the outcome of a personal injury lawsuit against a trucking company and its driver. He has experience with DOT compliance and auditing, CSA and SMS rating profiles, document retention requirements, training requirements, drug testing requirements, and many other necessities. At his prior firm, Ed implemented a firm wide emergency response protocol to provide immediate accident investigation services for severe trucking accidents that occur throughout the state. This response was used by clients over 25 times and is a service currently available to clients of Lewis Brisbois. Ed has defended all types of trucking companies, ranging from large fleet operations down to a one or two truck company. Recently his trial team successfully earned a defense verdict in a trucking fatality case in which the tanker trailer of his client’s rig was stuck and blocking the oncoming lane of travel and the oncoming motorist collided with the trailer and died. He also handles some construction defect, oilfield accident cases and workplace injury claims. In previous years, his practice was comprised of a mixture of business litigation and product liability defense, with extensive experience in a variety of complex commercial disputes and cases involving automotive products, fire protection equipment and lighting products. Motorola, Inc. - Production management and Process Engineering in semiconductor manufacturing facility. 2014 TIDA Newsletter – Reconsidering the Concept of Taking Your Driver’s Post-Accident Statement. When clients call for assistance, they are trusting me which is an incredible privilege and responsibility.